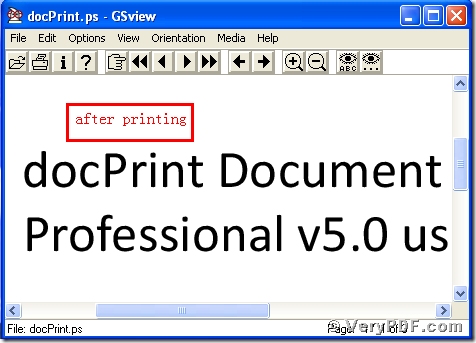 DocPrint PDF Driver is tailored to print rtf to ps. When I first use it, I have a deeply doubt about it. 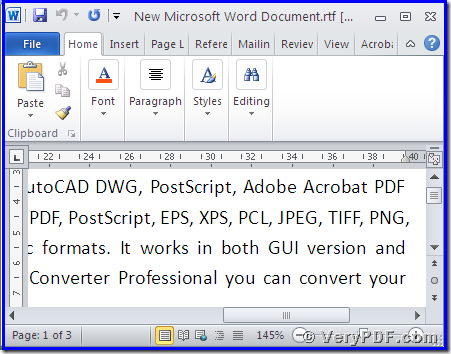 After I experience it by myself, I have to admit that it is truly an idea tool to print documents to other format files in computer. 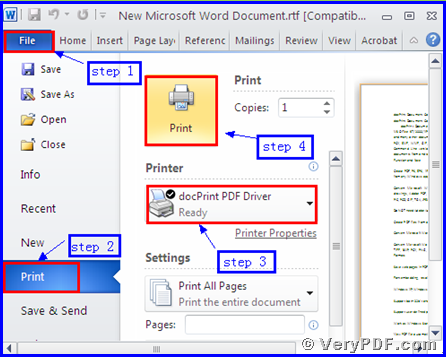 As we know that docPrint PDF Driver is one of docPrint Pro’s virtual printers. It is a virtual action for us to print rtf to ps. Because we do not need paper and ink, just print it in computer. This behavior is totally different from the traditional printer. Right now how about describing the operations to you? 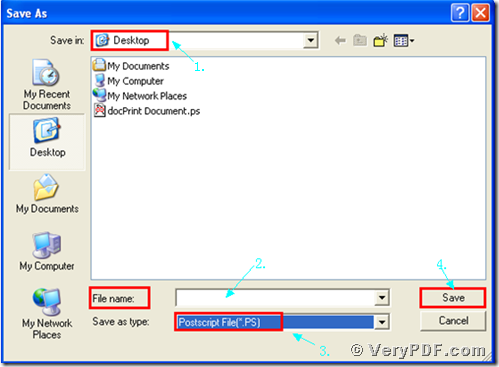 You will vividly find that we had printed rtf to ps file by using docPrint PDF Driver. As picture 3 and picture 4 showed you. 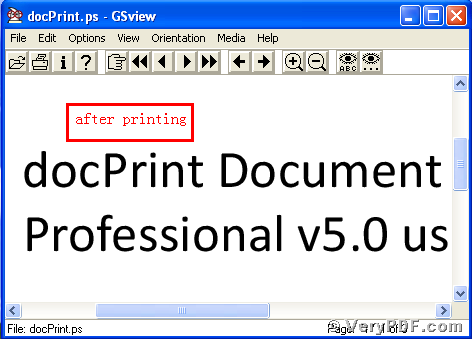 By the way, there is a basic version of docPrint Pro. It has the same functions as docPrint PDF Driver. The price is very low. You can download it through this link: http://www.verypdf.com/artprint/docprint_setup.exe , if you want to purchase it, click to http://www.verypdf.com/order_docprint.html. Thanks for your reading. 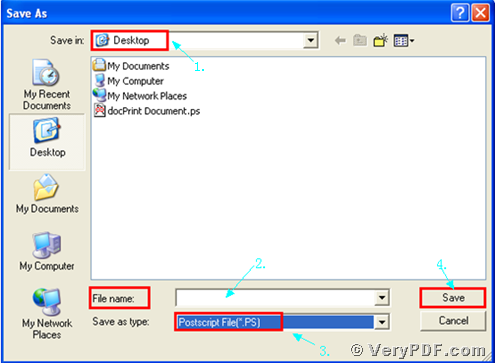 How to print RTF to Postscript file? 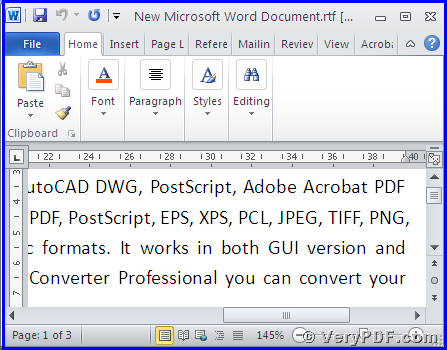 Can I convert lots of RTF documents to XPS formats? 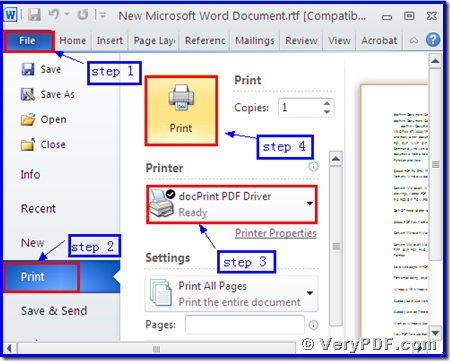 How to convert documents of Microsoft Office Word to XBM? How to use "Add Comments on Current Page" option in docPrint preview application? This entry was posted in docPrint Pro and tagged docPrint, rtf to ps. Bookmark the permalink.